An engrossing and eye-opening movie about the United States of America, the fast food nation. 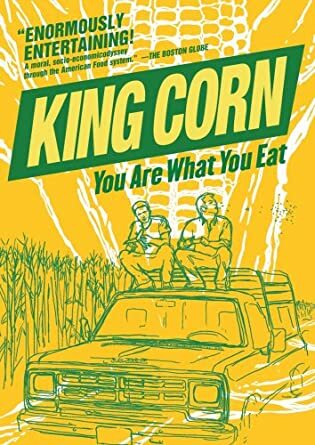 King Corn is a fun and crusading journey into the digestive tract of our nation. Fueled by curiosity and a dash of naiveté, college friends return to their ancestral home of green Iowa to find how the modest corn kernel conquered American. With the help of real farmers, powerful fertilizer, government aid and genetically modified seeds, the friends manage to grow one acre of corn. Along the way they unlock the hidden truths about America’s modern food system.